The students of VNIT college made this awesome biryani parody of Shape of You. Yup, you heard it right, it’s BIRYANI! It’s been nearly three months since Ed Sheeran’s Shape of you released, but people still seem to be obsessed with it. There are so many different versions and parodies of the song. Remember the dentist's parody and the passover version? And that legendary moment when Jimmy Fallon and Ed Sheeran recreated Shape of You with the colourful kindergarten musical Instruments! Getting all the flashbacks, right? 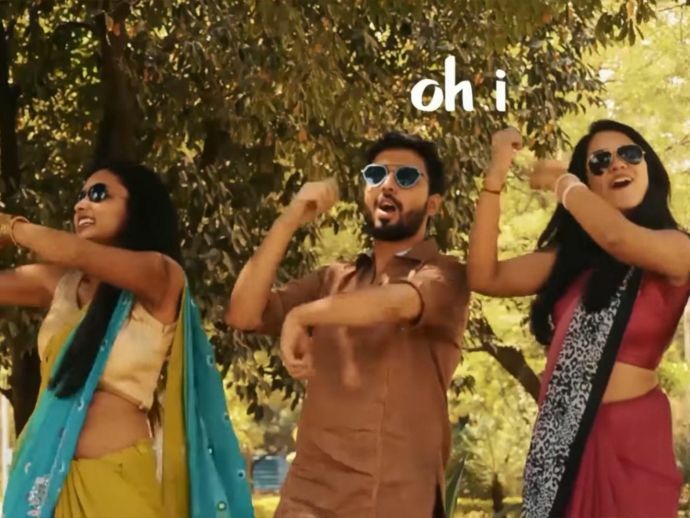 So to get you some more memories we fetched yet another cool parody...in Nagpuri style. The students of VNIT college made this awesome biryani parody of Shape of You. Yup, you heard it right, it’s BIRYANI! Isn’t the song creative AF? And the chorus!! We agree that the acting and the dances could have been better and well rehearsed, but what the heck, with super creative lyrics and puns, they just made our day. Okay!! It’s time to shut up! Coz you're probably craving for Biryani now.